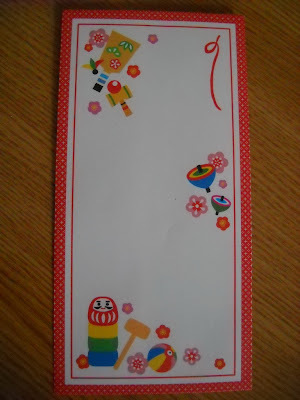 People clean the house before the New Year – oosouji, the big cleaning at the end of the year. 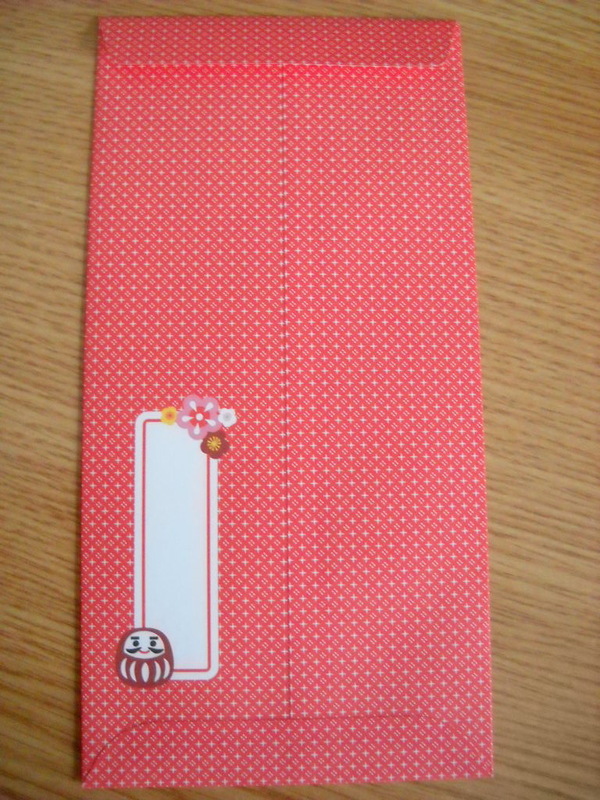 Everything is squeaking clean in Japan, anyway. This cleaning may be just a symbol of purification. Then, ladies prepare the New Year’s dishes, osechi. As for the New Year, at midnight, the bells ring at the temples 108 times. It is called joya no kane. Buddhism says that human beings have 108 flaws, and each sound of the bell removes one such flaw. 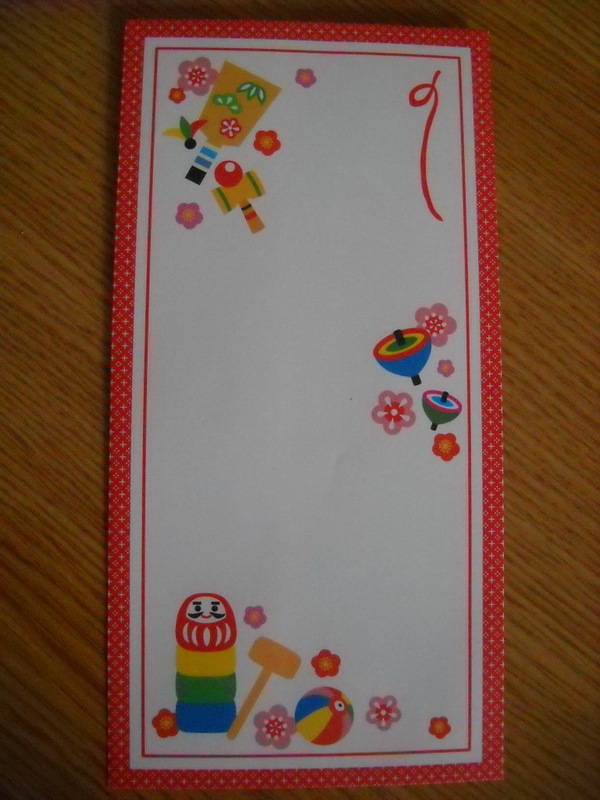 Children receive money from parents, otoshidama, in special envelopes. This is one example of otoshidama-bukuro. The first dream of the New Year is very important. It is called hatsuyume, and the best dreams one could have are: Mt Fuji, a hawk or an eggplant. These are auspicious dreams. Yoi otoshi wo omukae kudasai. Happy New Year!